Mr Macron’s office said that government spokesman Benjamin Griveaux and Digital Affairs Minister Mounir Mahjoubi were leaving, along with European Affairs Minister Nathalie Loiseau. Both Mr Griveaux and Mr Mahjoubi are to launch rival bids for next year’s mayoral race in Paris. The current mayor is socialist Anne Hidalgo, who is seeking re-election. Mrs Loiseau, who played a key role in communicating the French government’s stance on Brexit throughout the fraught divorce negotiations, will for her part head Mr Macron’s pro-Europe La République en Marche (LREM) party in the May 26 European parliamentary elections. Mr Griveaux has been government spokesman since November 2017, while Mr Mahjoubi was named digital minister in May 2017. Mrs Loiseau, a career diplomat, joined the Macron government in June 2017. A rejig is expected by Monday, the date of the next cabinet meeting, but could be announced as early as Friday. In the last eight months, Mr Macron has waved goodbye to his popular ecology minister Nicolas Hulot, ally and interior minister Gérard Collomb, and close advisor Ismaël Emelien. The spate of ministerial resignations have dimmed the aura of invincibility that accompanied the ex-banker’s first year in power, with his political opponents depicting him as an increasingly solitary figure with diminishing star power. In addition, Mr Macron’s quick tongue has repeatedly landed him in trouble since he took office. He once berated striking workers for “kicking up a bloody mess” and called critics of his labour law reform “slackers,” exposing him to accusations of being an indifferent and patronising president. 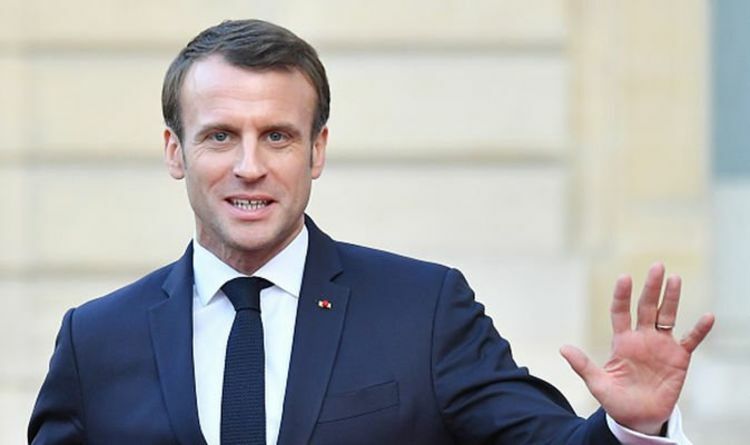 The cabinet reshuffle comes as Mr Macron is focused on preparing his party – led by Mrs Loiseau – for the EU elections, which he has repeatedly framed as a tight contest between eurosceptic populists and pro-Europe progressives like himself. According to recent voting intention polls putting him just ahead of far-right leader Marine Le Pen’s Rassemblement national (RN) party, he could expect to win about 20 seats in the EU assembly. The European elections will serve as a key indicator of Mr Macron’s popularity, badly dented by four months of anti-government “yellow vest” protests against his business-friendly economic policies. The protests, named after the fluorescent safety vests all French drivers must carry in their cars, began in mid-November as a backlash against rising fuel prices but have since come to encompass wider frustration against the political elite embodied by Mr Macron and his inner circle. The weekly sometimes violent rallies have derailed the government’s reform spree and stunted economic growth.